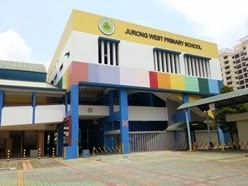 Jurong West Primary School is located at 30, Jurong West Street 61 in Singapore 648368. It is enclosed within the Jurong West Region. Jurong West is a planning area within Singapore. It is bounded by the eastern edge of Jurong Camp, Pan Island Expressway, Boon Lay Way, Fourth Chin Bee Road, Corporation Road, AYE, International Road, Yuan Ching Road and back to PIE. It is known as the second most populous area in the country. Nearest MRT is Pioneer MRT and the closest bus interchange is Boon Lay bus interchange. Amenities in the area include Jurong Point, Giant Hypermarket and NTUC Fairprice Supermarket. Some of the schools nearby are Boon Lay Secondary School, West Grove Primary School and Pioneer Secondary School.